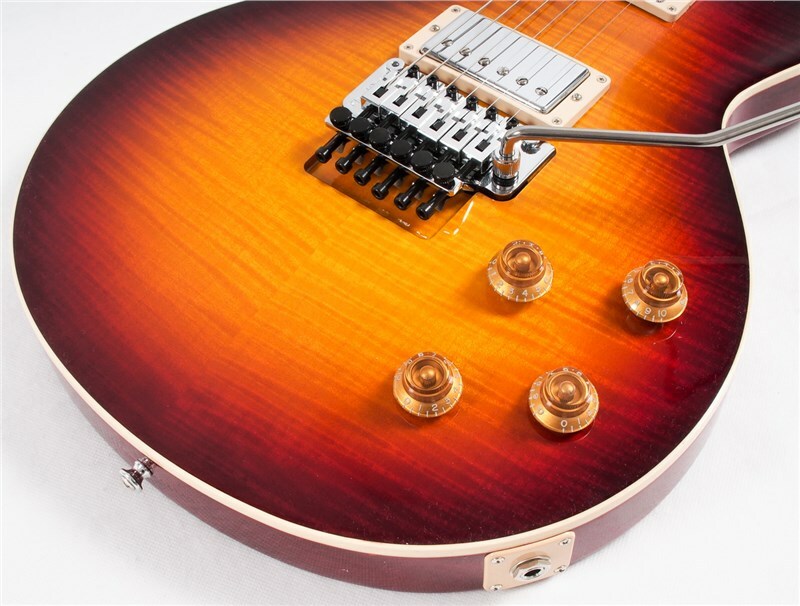 The modern player's choice is reimagined with this new limited series of Modern Les Paul Axcess Custom guitars. 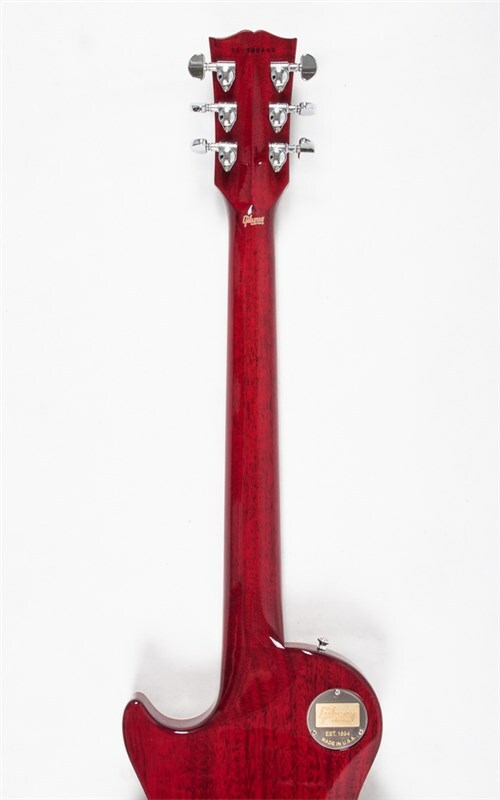 Featuring the new Apex headstock for added strength, redesigned back contours for added comfort. 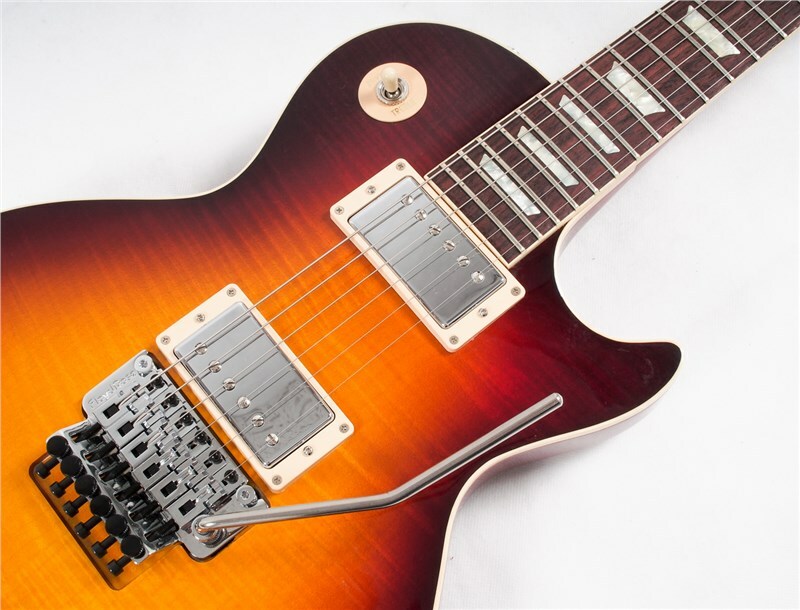 Carrying all the elegant styling, fluid body lines, and rocking attitude of a classic Les Paul Standard from the golden era of 1958 to '60, the Les Paul Axcess reveals a handful of upgrades upon closer examination all modifications made in the name of maximum playability and versatility. 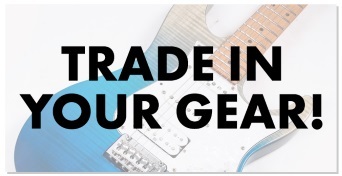 The most noticeable addition is the Floyd Rose tailpiece, a unit optimized for anything from subtle vibrato wobbles to dramatic, rumbling divebombs. 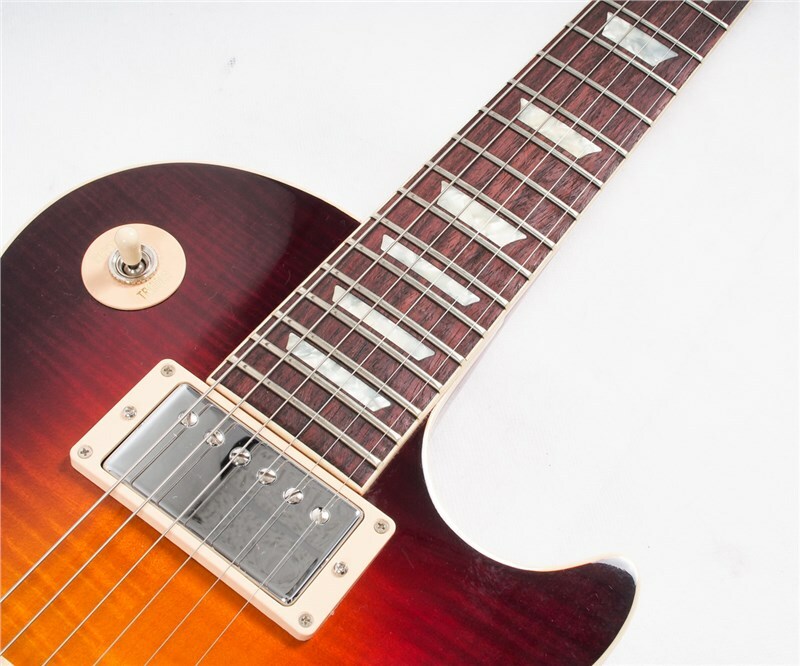 Adding a Floyd Rose to a Les Paul in the past was always a major headache, and could seriously damage the stability of the instrument if not done right. 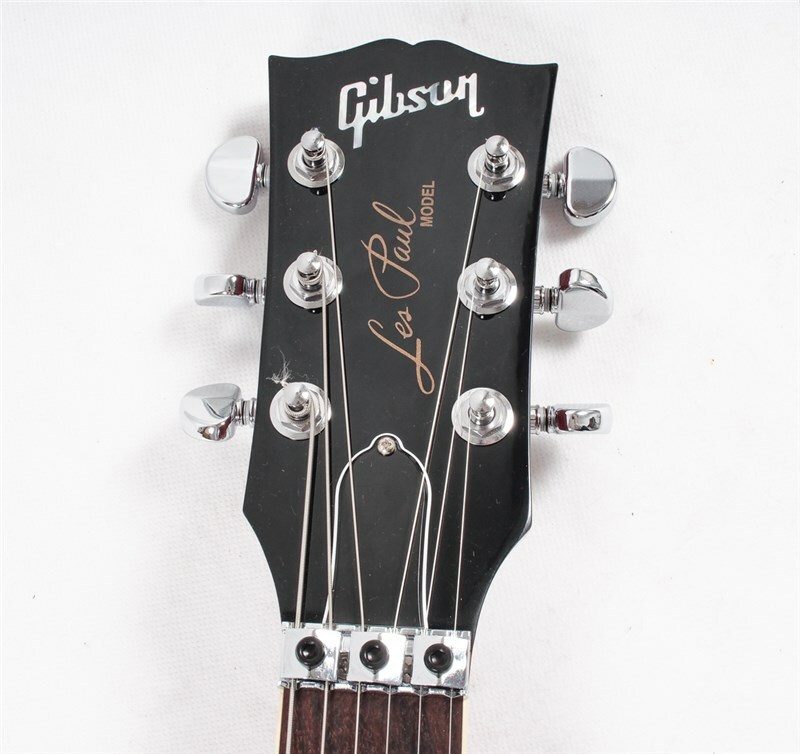 On the Les Paul Axcess the vibrato is installed right at the Gibson Custom Shop as part of the manufacturing process, so this potent piece of high-performance hardware interacts seamlessly with the design of the guitar. 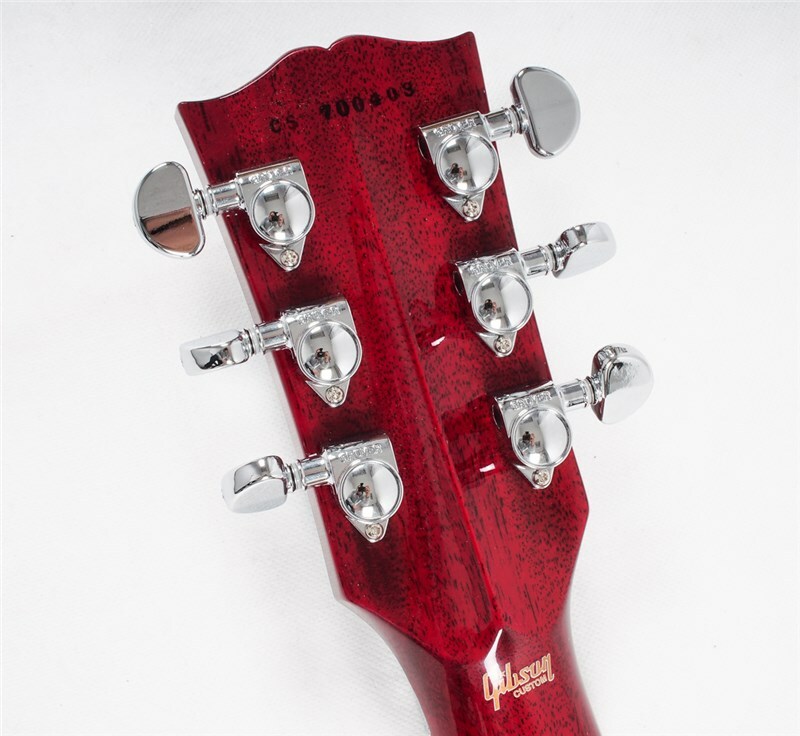 Partnered with an R4 locking nut, it also guarantees outstanding tuning stability and return-to-pitch accuracy. 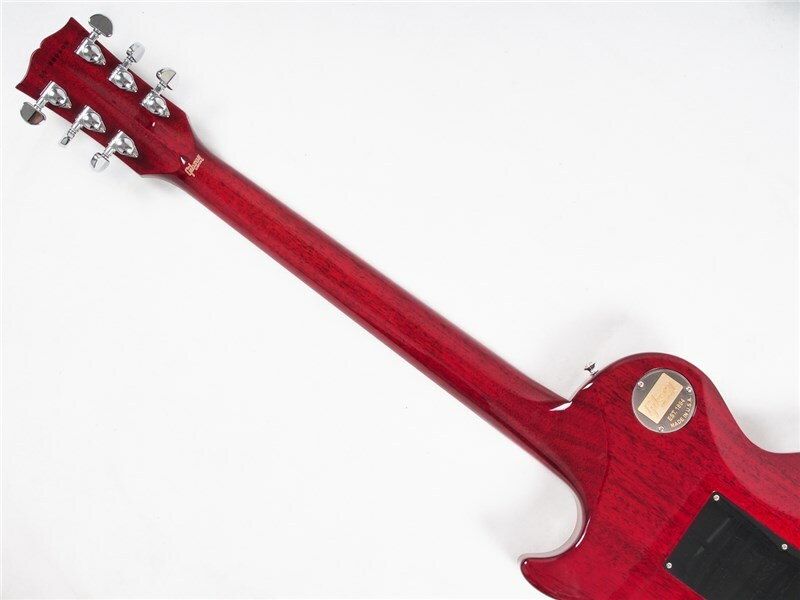 Take the instrument in hand and run your fingers up the neck, however, and you'll encounter the clever structural alteration that gives this new model its name: while the Axcess sports what looks from the front to be a traditional Les Paul neck joint, the neck heel and portions of the back and neck joint at the upper cutaway have been contoured to provide a "heelless" feel and an unimpeded reach right up to the 22nd fret. 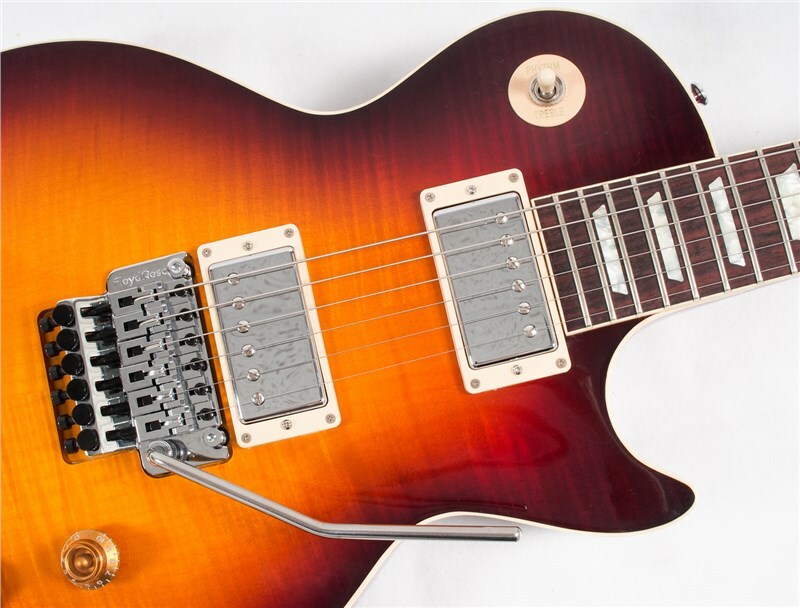 No more stretching against the traditional neck heel to achieve the upper-fret access that your lead style demands'the Axcess gives you that legendary Les Paul playability all the way up the neck, and welcomes you to take it right over the top. 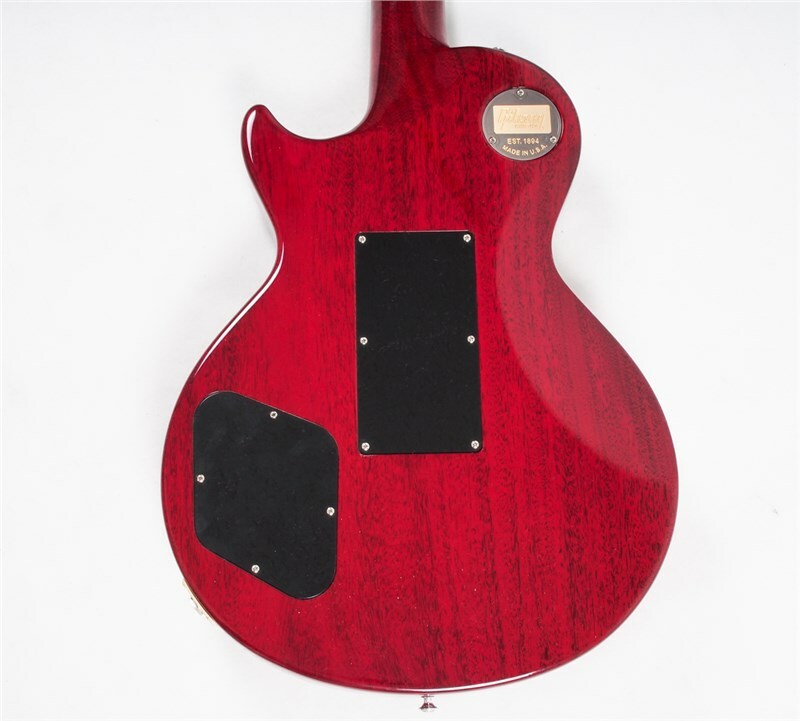 To further enhance playing comfort, this smoothly carved neck joint is joined by a "belly scarf" (aka ribcage contour) that allows the body of the guitar to hug closely to your own body in the playing position without digging in. 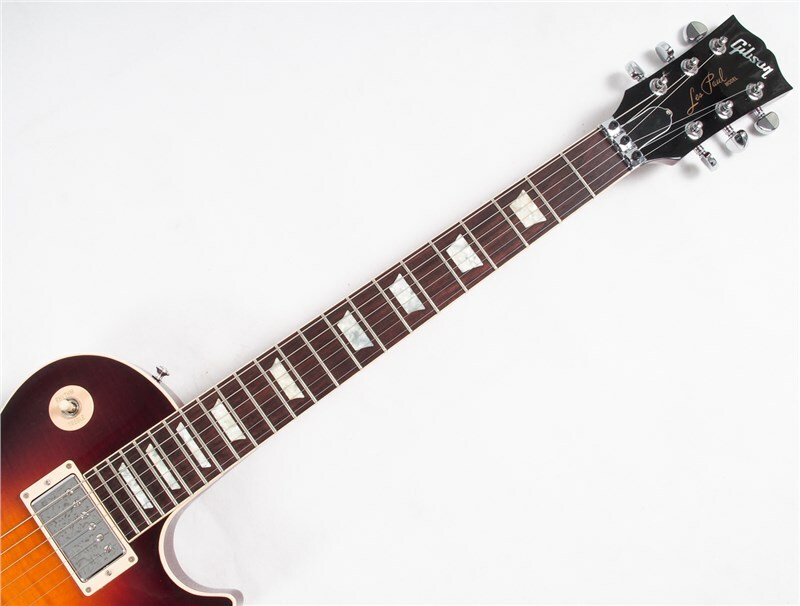 Add to these contours the Les Paul Axcess's slightly thinner body, made from weight-relieved mahogany (with carved maple top), and you've also got an instrument that is refreshingly light, and a pure joy to play either strapped on or seated. 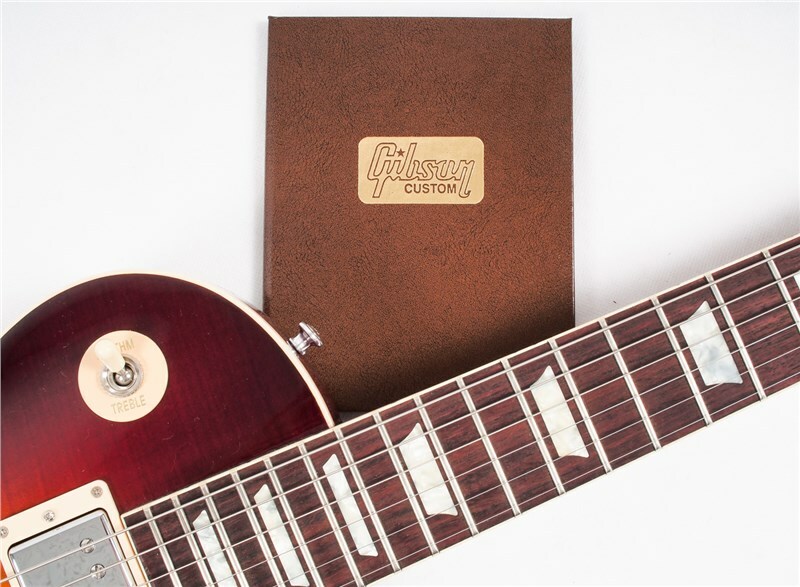 As the Gibson Custom Shop Operations Manager Michael McGuire puts it, "Everything about this Les Paul has been designed to make it a player's 'player's guitar'. 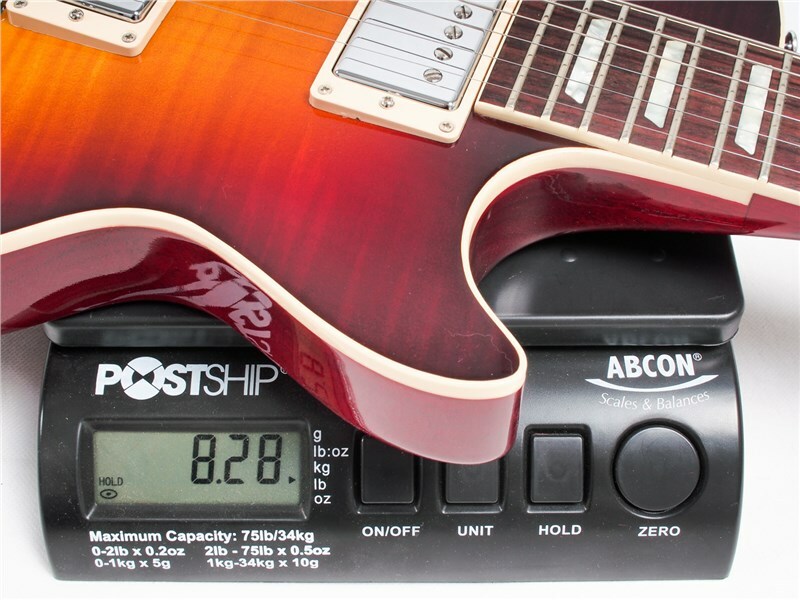 From the easy access to its upper range, to the comfortable belly scarf, to the Floyd Rose vibrato, this instrument was made to give you optimum performance." 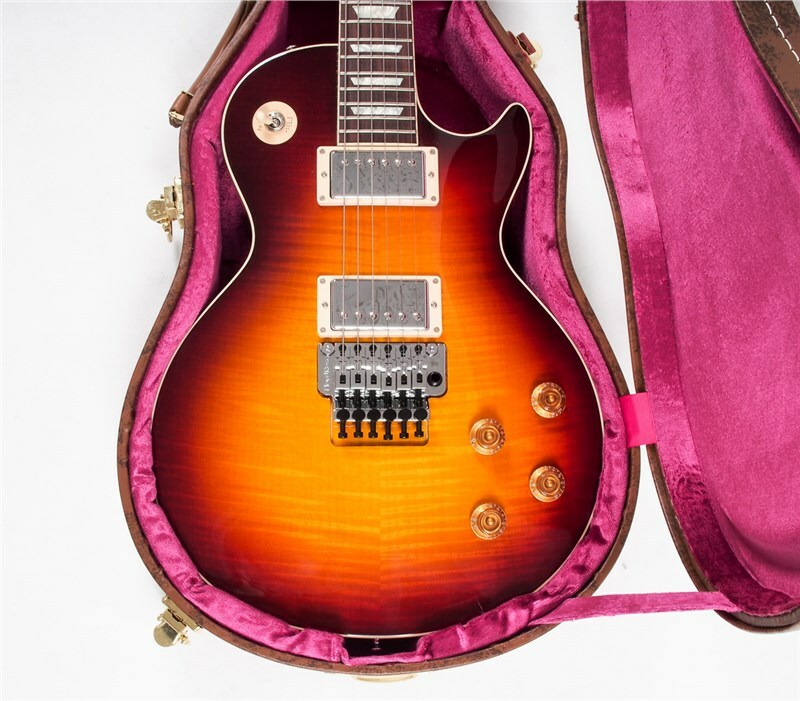 And of course, being a product of the Gibson Custom Shop, the Les Paul Axcess is built to the highest standards attainable in today's market, which includes a final set-up and fret dressing by the computer-controlled PLEK System. 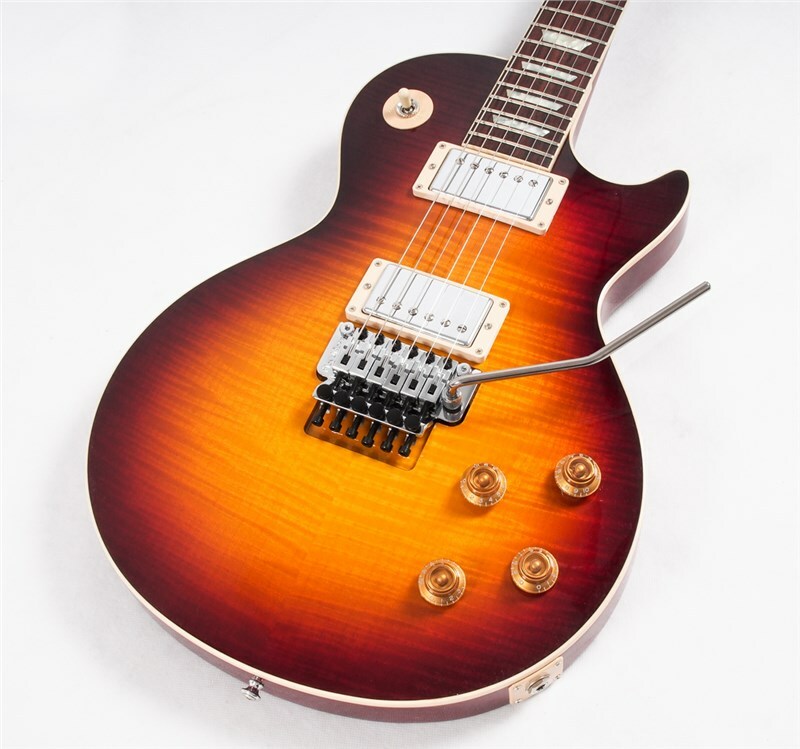 Beyond all these significant considerations for playing feel, the Les Paul Axcess Standard is also geared toward optimum tone, as you'd expect from any Custom Shop creation. Exposed-coil BurstBucker 1 and BurstBucker 2 pickups in the neck and bridge positions the most accurate reproduction vintage-PAF-style humbuckers Gibson has ever offered'yield everything from warm, fluid vocal tones to fat, sweet growl, while an added push/pull switch on the treble Tone knob provides coil splitting for accurate single-coil tones. 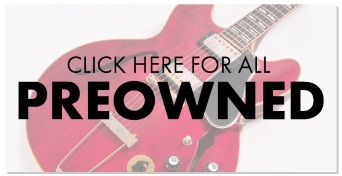 The combination excels at everything from singing classic rock lead tones, to contemporary crunch, to extremes of twang and jangle. 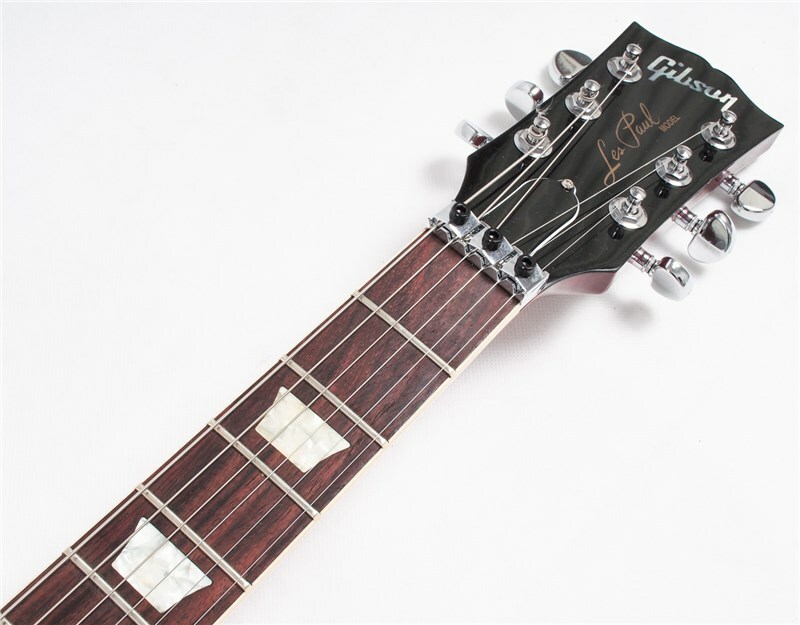 Even the pure-nickel wound .010 Gibson Vintage Strings it ships with contribute toward its rich, textured voice. 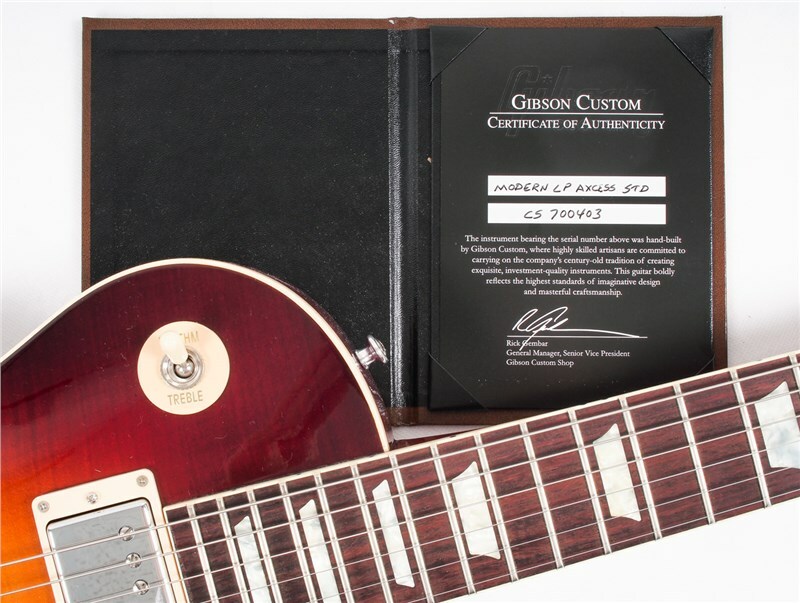 Each instrument also comes with a Custom Shop hardshell case and a Certificate of Authenticity. 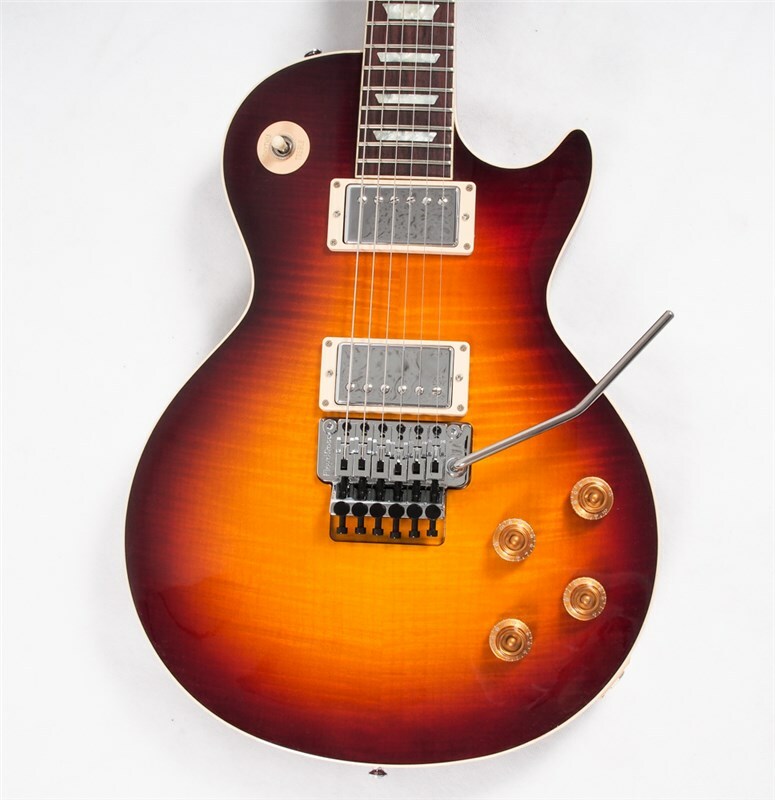 Top that off with optimum playability, maximum access, and unparalleled tone, and the Les Paul Axcess Standard is probably all the guitar that plenty of players will ever need.